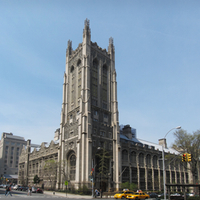 Few schools have the rich academic history that does Union Theological Seminary in New York. Originally founded as a Presbyterian Seminary in 1836, the school at one time hosted the likes of none other than Reinhold Niebuhr, Paul Tillich, Dietrich Bonhoeffer, Langdon Gilkey, Nathan A. Scott, Jr, Frederick Buechner, and many others. 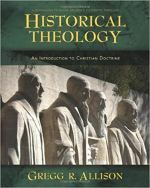 Union has been significant in the study of numerous theological schools in the US, including liberal protestantism, neo-orthodoxy, liberation theology, and womanist theology. UTS is known for is broad course offerings and academic rigor. The courses are offered under five different areas of study: biblical studies, theological studies, historical studies, practical theology, and interreligious engagement. Union offers the MDiv, dual MDiv/MSSW, MA (offered in one of the areas of study listed above), STM, and PhD (again, offered in one of the five main areas of study). Students may also earn an MA in Religion offered in conjunction with Columbia University. It goes without saying that students at any school in New York City will have no shortage of activities in the "city that never sleeps." Some of the world's best museums, restaurants, bookstores, and nightlife are available to NYC residents. However, there are numerous resources available to Union students both on campus and at nearby Columbia University, Union's sister University. For example, students seeking counseling or psychological services may consult Columbia University Counseling and Psychological Services. If it's physical fitness, students are welcome to use the Columbia University Dodge Fitness Center, offering a wide range of cardiovascular and weight training equipment. Union offers a number of activities for its students on-campus. A variety of religious services in many traditions are available, as are weekly chapel services. A number of student organizations catering to various political, theological, and shared interests are also available. Union offers excellent housing options to its students, especially considering the high price and scarcity of housing in New York City. Students may live in either dormitory-style housing or apartments in Hastings Hall, McGiffert Hall, or Morningside Gardens. For students who elect to live in off-campus housing, the seminary office of Student Affairs gladly offers assistance. Union offers several types of both need-based and merit-based financial aid. Need-based aid includes the Union Grant, covering up to 70% of tuition, as well as the Union Loan up to $3,000 per year. Merit-based scholarships, including the Presidential Scholarship and Union Scholarship, can cover everything from partial tuition to full tuition plus a living stipend. The school also participates in Federal Financial Aid programs, including Direct Loans and Work Study. The school also assists students seeking forms of external financial aid.